Such great Santa photos!! I love the torn-edged paper background. The large Santa really balances the LO. 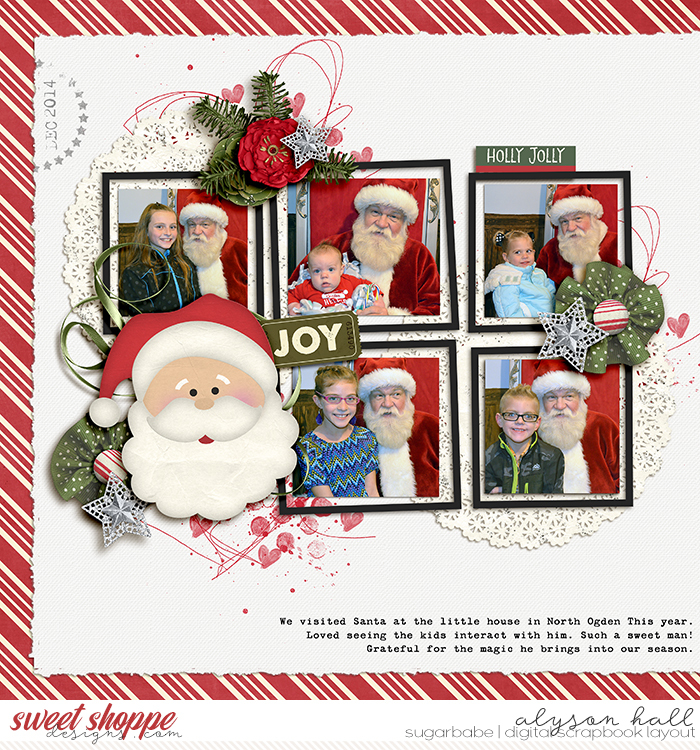 Love the large image of santa and the cute photos! Great blocking too!